We all live with expectations… some realistic, others unrealistic. Some expectations are met, others unmet leaving us disappointed. In many ways, our expectations come from a deep desire that lies within all of us… hope. To live without hope would be… well… hopeless. But eventually, we all will come to realize that our expectations will be unmet and it will feel like our hope has been dashed – that our hope has left us lacking and disappointed. Our hope does not put us to shame. In other words, our hope does not disappoint us. The truth is we are all searching for that kind of hope, and when you find it, facing unexpected expectations becomes a bit easier. 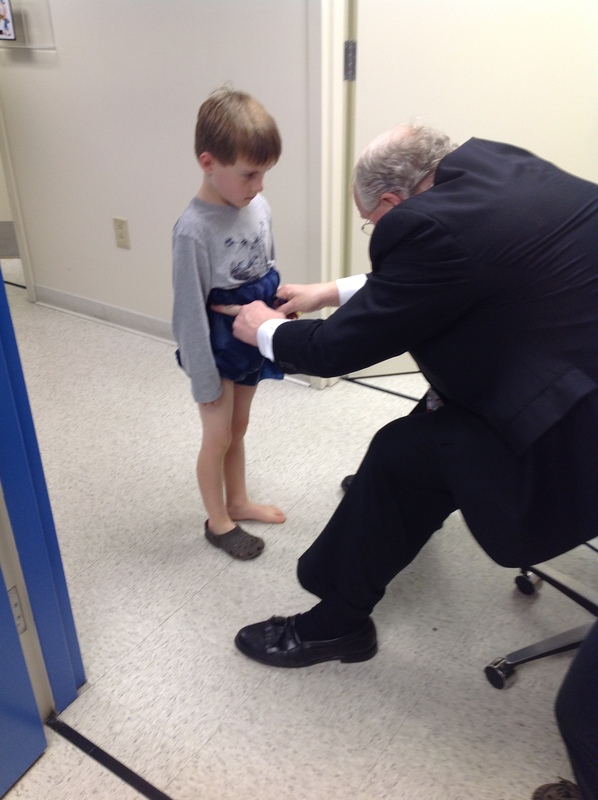 Just prior to Christmas, we traveled to Birmingham to visit family there but also to see Cole’s doctor for a check-up. We are 5 months out of the cast and about 6 months post-surgery. 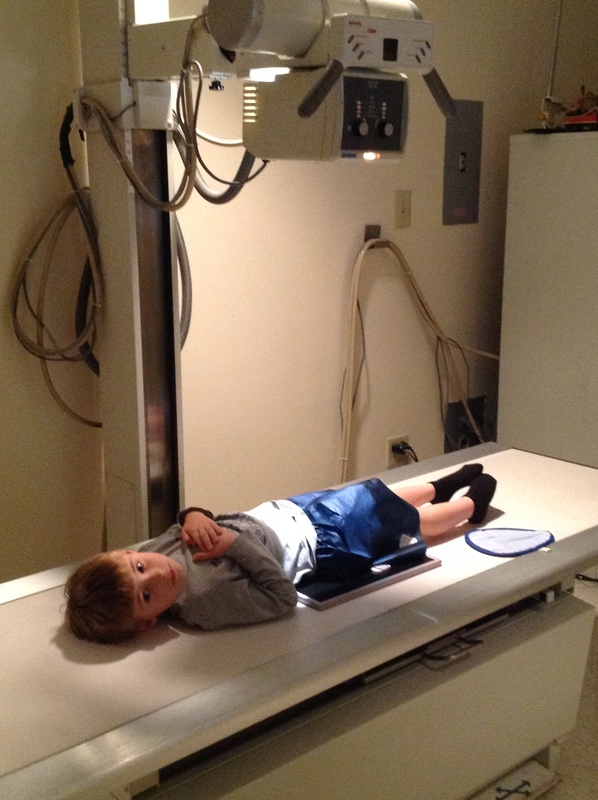 After the x-rays, we waited to see the doctor, with expectations that everything was continuing to heal and progress nicely. Dr. Killian entered to test Cole’s flexibility. He pushed and pulled and prodded a bit and was generally pleased. 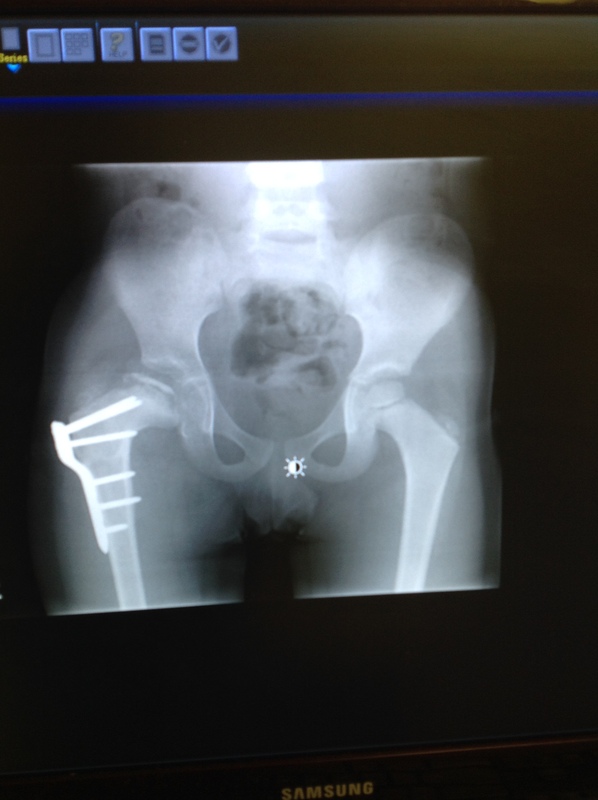 Some of the flexibility will naturally be lost due to the surgery and also the plate that is holding everything together while the bone regrows. He had him walk and watched his gait and limp. Cole’s right leg still is about an inch short and so he compensates by walking on his tip toe most of the time. Overall, Cole’s flexibility and walking is about on par for where we should be at this point in the recovery and healing process. “Howevers” are difficult transitional words. Sometimes the pause can seem forever and the expectation is that the “however” will be followed by news you don’t really want to hear. “Howevers” bring unexpected results that are often quite different than the expectations. That was the case for this visit. Even though everything is progressing, there was the “however” of a problem. And the problem was inflammation. “A glowing red ball like the sun” is present in Cole’s hip socket. So much so that a procedure would be required. Our hearts all sank a bit. So on our drive back to Tallahassee from Birmingham, we immediately started planning our return trip to Birmingham post-Christmas. That will take place today as Cole is first on the docket for Monday morning at 5:30am. He will check back in to Children’s Hospital and be put to sleep so that an injection can be placed directly in his hip socket. This will deliver medicine that will directly deal with the inflammation as well as put dye in the area so an MRI can better see how the bone is shaped and to make sure there aren’t any deformities in the regrowth. This will hopefully be an outpatient procedure that won’t require a hospital admittance. Next on the agenda is to make a visit to the pedorthist to have a lift put in his right shoe to bring a bit more stability to his walking, and hopefully get him off of his tip toe so that the hip joint can settle down a bit. It won’t be a cure, but just another step in this process. But we are hopeful and we will still have expectations. Even knowing full well that some of those expectations will bring unexpected outcomes or even disappointment. Because after all… hope never disappoints! We are so grateful to each of you that have followed us on this journey… supporting us and praying for us along the way. We pray you had a Merry Christmas and that the greatest gift ever given… Jesus Christ will bring you peace and hope! Praying for Cole’s quick healing, safe travel, and the peace that passes understanding. THANKS FOR COLE’S UPDATE !! Oh dear Todd and Brooke – prayers being sent up by me and my nephew, David Maginnis, too. (who is at Evangel PCA, Birmingham if you ever need him. He remembers you from seminary, Todd.). Wow, thanks Lisa! So very much appreciate it and I remember David too! Continuing to pray for Cole and your family! Praying that when you get there on Monday, the inflammation will miraculously be gone! Praying for safe travels and peace for the family during the wait. Praying for Cole and each of your family members. Thanks for sending updates. Thanks Annette! We appreciate the prayer support! Praying constantly for Cole’s total healing, and peace for his family, that only comes from Our Lord and Savior.